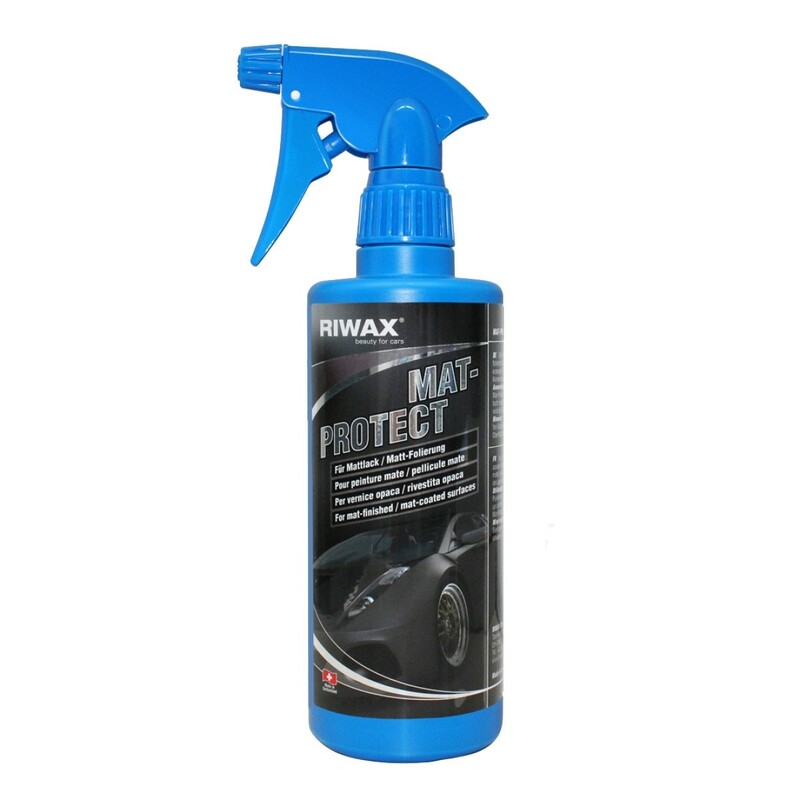 Rust converter which provides unparalleled protection to rusted steel surfaces. 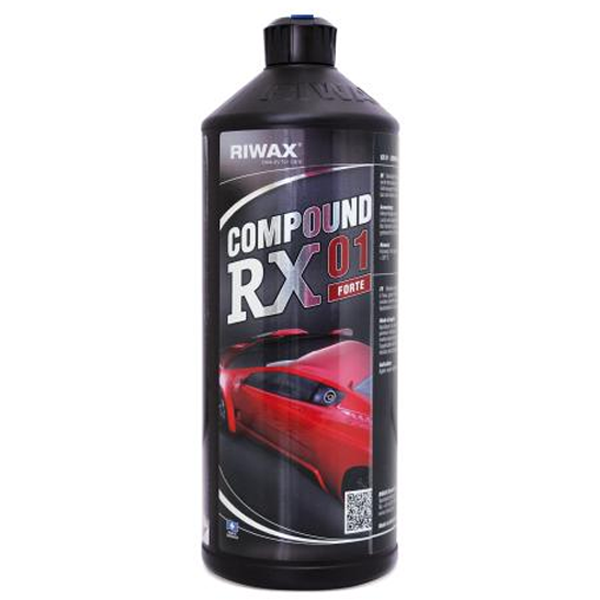 Quickly kills and chemically converts rust. Leaves a tenacious protective barrier. Traditional paints and coatings applied to corrosion give disappointingly short-lived performance because they simply hide the underlying and continuing corrosion - the failure is first seen by blistering of the coating and the rapid breakthrough of rust. Hydrate 80 provides powerful protection to rusted steel surfaces, its electrochemical function stabilises existing corrosion by converting the iron oxides into a protective metal complex, it also combines with surface moisture and oxygen depriving the corrosion process of the conditions it requires. Paints and coatings applied to a Hydrate 80 treated surface demonstrate amazing improvements in long-term performance. Hydrate 80 was awarded “Practical Classics” magazine “Best Buy” and “Product Recommended” after a long-term trial comparing it to 12 other products - in fact hydrate 80 was applied to more heavily corroded steel than the competition and still outperformed them. hydrate 80 has been used to arrest and prevent corrosion in diverse applications - from massive marine installations to classic and historic vehicle restoration hydrate 80 provides dependable long-term protection. Proven long-term rust prevention over partially prepared surfaces - massively increases the life of paint applied to partially cleaned steel. Boosts the corrosion protection of coatings applied to steel cleaned by blast cleaning or other methods. Easy-to-use simply brush or spray apply. Leaves surface ready for painting. Produces super-tough non-rubbery etched barrier. Surfaces do not need washing after treatment. Low viscosity wets out corrosion for full conversion and facilitates penetration of flanges and seams. Proven in independent TUV tests in trials of automotive paintwork. Awarded "Product Recommended" in "Practical Classics" Magazine long term trial. As with all treatments preparation is important: remove loose, flaky rust with a wire brush and abrasive paper, or more favoured power tools. The active ingredients of Hydrate 80 must reach the oxidising surface of the steel. Thoroughly degrease the area and wash well with clean water to remove dust and contaminates. Failure to degrease area properly will cause “holidays” or fish-eye like flaws in the barrier. Apply sparingly two coats at 30 minutes interval. The first coat should be worked into pitted areas and then smoothed by brush strokes in one direction. Excess application should be avoided. The second coat should be applied at a 90 degree angle to the first. For best results leave for 24 hours after which finishing coats may be applied. 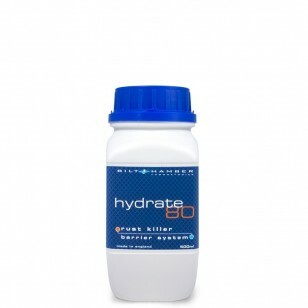 Where rapid work progress is required, Hydrate 80 can usually be over coated after 3 hours without performance loss. Hydrate 80 can be brush or spray applied, brush application is preferred. 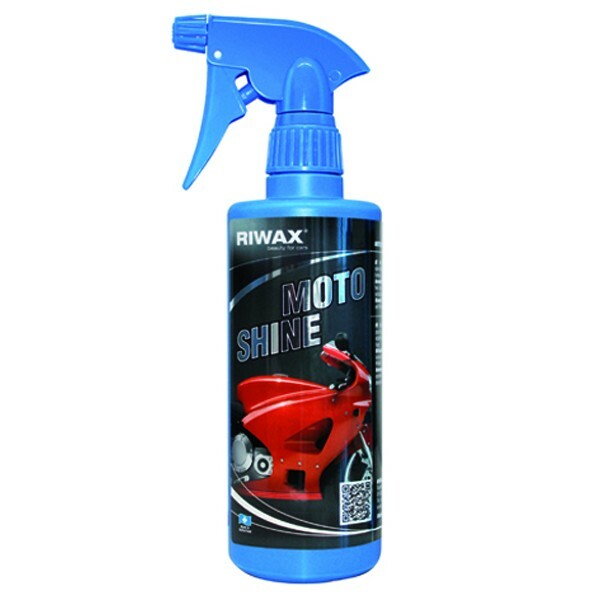 Spray application should be made by first applying light mist coat which is left to tack dry (5-10mins) then apply full coat not to excess. Flatting back of coats is possible using dry wet or dry paper; care should be taken not to abrade through the barrier. 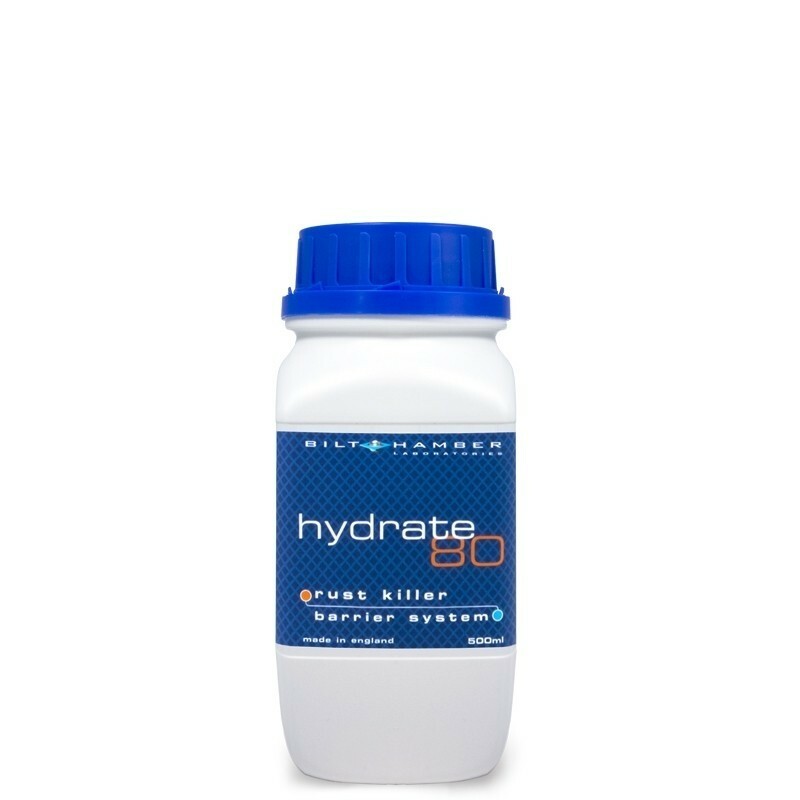 Use of Hydrate 80 below 10°C will result in slow reaction time and barrier formation. As Hydrate 80 will activate on clean steel the affected area should be cleaned beyond the visibly corroded surface, this will ensure complete treatment. Wash hands with soap and water after contact and in case of contact with eyes wash with plenty of running water and seek medical attention. Hydrate 80 is an excellent base for a wide range of paint finishing systems. It is preferable but not essential to use a good quality primer before applying topcoats. Due to the many types of paint formulations and curing processes test compatibility of products at small scale before use.